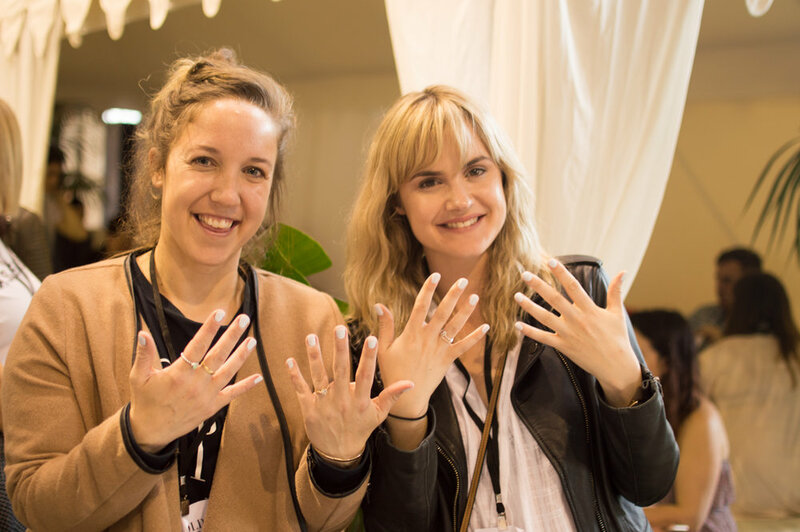 We had a great time painting the nails of the lovely brides to-be at the One Fine Day Wedding Fair earlier this month. In the VIP section, brides to-be were queuing to experience our fabulous Nail Stylists creating works of art on their nails! Everyone was excited about our services and the fact that we're able to come out to their chosen location. Super convenient for the busy bride! It's also the perfect pre-wedding preparation while enjoying an evening in with your bridal party or closest girl friends. We've added our LUXE BRIDE package to our service menu. The ultimate pampering, and an ideal way to unwind before your big day. It's also a lovely gift to give to that special bride in your life.